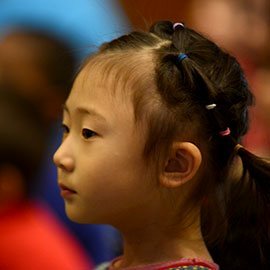 Our language immersion preschool is perfect for families, just like yours, who believe and understand the importance of diversity, culture, and the ability to speak more than one language in our global community. 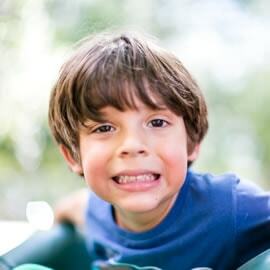 Our program not only teaches your child a second language, but also immerses them in different cultures. Crossing Borders has an incredibly diverse staff and you will notice this once you walk through our school and hear the different languages spoken. 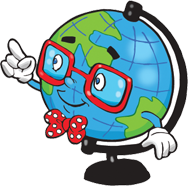 Our passionate teachers and staff are fluent in English, Spanish, Mandarin, French, Arabic, and even Sign Language. It is amazing to see and hear the different languages coming together. Here are our AMAZING TEACHERS! 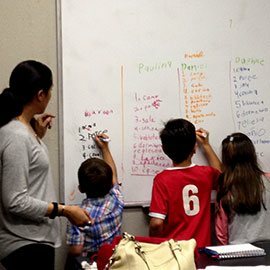 At Crossing Borders, we offer superior language immersion programs and classes that enable students to develop into confident, responsible, and independent children who are proficient in multiple languages. At Crossing Borders, we thrive on our diversity which is what makes us so unique. Children are surrounded by other students, teachers, and staff from around the world, immersing them in the language they are learning, as well as different cultures and customs. You will be delighted to see so many different faces at Crossing Borders and learn from so many different cultures. 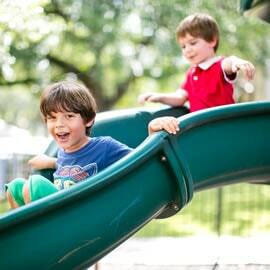 Crossing Borders International Preschool is one of the best language immersion preschools in Houston, TX. 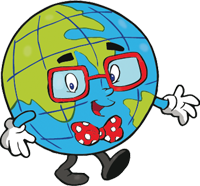 We offer language immersion programs for children ages 18 months to 5 years old. Our immersion program combined with a full academic curriculum giving children the opportunity to not only learn a second language but to prepare academically for their future. 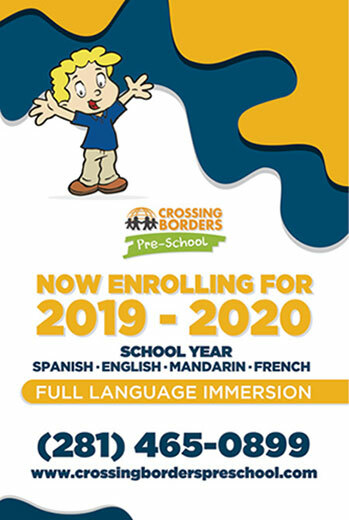 Crossing Borders International Preschool is committed to providing the best early education programs and childcare in Houston, TX.